Alban was a man living in the town of Verulamium at the beginning of the 4th century. Although he was a worshipper of Roman gods he gave shelter to a Christian priest fleeing from the persecution of the Romans. With the help of Alban the priest escaped. However, Alban was arrested and taken for execution. Legend tells us that on the hill-top a spring of water miraculously appeared to give the martyr a drink. The original executioner refused to carry out the deed, and that after his replacement had killed Alban the executioners' eyes dropped out. Alban was beheaded and in 793 King Offa of Mercia founded a monastery on the site of the execution and was renamed St. Albans. 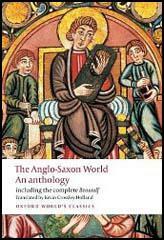 The first written account of Alban's story was provided by Gildas in 560. However, it was Bede who first claimed that at the place of execution "sick folk are healed and frequent miracles take place." In 793 King Offa of Mercia founded a monastery on the site of the execution and Verulamium was renamed St. Albans. On 25th June, 1177, Robert, a citizen of the town, had a vision where St. Alban told him that his relics were at Redbourne. The abbot of the monastery sent some monks to Redbourne and the relics were transferred to St. Albans. The religious shrine of St. Alban was a popular place for pilgrims to visit in the Middle Ages. Henry VIII ordered the closure of St Alban's Abbey on 5th December, 1539. The Abbott and his 39 monks were not harmed and received comfortable pensions.